Have you ever felt like your hair is literally not growing? You measure the length every 6 or so months and you even feel like it is reducing in length instead of growing longer. That is very possible and the culprit that you are dealing with here is called split ends. Split ends are annoying. Nobody wants to deal with them. They are however avoidable if you know how to deal with them. To know how to prevent split ends, you first need to know what causes them then work from that angle. The number one way of knowing that you are dealing with split ends is to look at the ends of your hair. You will notice that the hair ends are bent, very dry and brittle like they could break at any second. The ends might also be uneven and thinner than the rest of the hair. Another sign of split ends is hair that is not growing. You measure your hair today and six months later, your hair is still the same length and sometimes even shorter. When you notice a lot of hair left on your hair brush after brushing or at the end of the bathroom drain on wash day, this means that you are losing a significant amount of it and the number one cause of this is split ends. Some of us are aware that we are dealing with split ends. We know how they look like but we have no idea what is causing them or how to deal with them and restore our hair back to health. A narrow toothed comb when used on tangled hair will damage it. The same goes for washing every day, using hair dyes regularly, using harsh chemicals, washing your hair every day, as well as using a lot of heat. The sun’s UV rays, extreme wind, frost, and rain will all damage your hair if it is exposed for long periods. Conditions such as Lupus, Cancer, and Hormone problems among others may cause split ends. When you style your hair in the same way and tie it at the same spot every day, the hair will be stressed at this point and this will lead to splitting and breakage. Those hair products that are supposed to make your hair extremely smooth and tangle free might just be the cause of your split ends. Talk to any hair stylist of hair guru and they will tell you that the recommended maximum number of times to wash your hair if you really have to is twice a week. More than this will rid your hair of its natural oils and this is where splitting begins. Following these tips should help you avoid most split end problems. If you don’t have the time, do not detangle your hair. Applying hair conditioner before starting the detangling process will soften it and give you an easy time as well as make your work easy. If you have to use heat, lessen the number of occasions. Heat may make your hair all straight and neat but it is a slow split end causer. Trimming your hair every 4 to 6 months will really help with keeping the splitting in check. If there are any split ends, you will get rid of them before they advance further and cover more length. Condition and treat your hair as often as you can. This helps manage damage. It is ideal to do this as often as possible. Wash days are the best for conditioning and treating. Look at the ingredients of your hair products when at the store. Hair products made of more natural ingredients are the best. Also look for those that don’t require for you to use too much heat on your hair. Use shampoo on your scalp and not your hair. Shampooing the scalp helps you to not put your hair through the rigorous scrubbing and rubbing and the shampoo and water will just pass through as you work on the scalp. Hair won’t be stressed and you can avoid breakage and splitting. When drying your hair, don’t rub. Squeeze out the water with a towel and wrap it to dry. Comb it with a wide tooth comb slowly before the drying process if you plan on using a dryer. Ideally you should avoid using the dryer but if you need to use it keep it on lower temperatures. Use a pillow or hair scarf made of satin when sleeping. If you don’t like using a head scarf, braid your hair into a protective braid, or put it up in a bun for protection against damage as you sleep. Avoid combing hair that is still wet. Hair is at its weakest when wet and combing it will easily cause breakage. When you are combing your hair, start from the ends where hair is more likely to be tangled then work your way to the scalp. This helps detangle without causing breakage. Braids are the best protective styles out there. You can braid your own natural hair or add synthetic hair additions or extensions. Braids protect hair all the way from the root to the end. 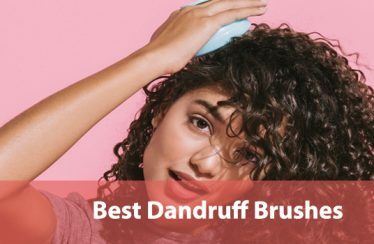 This means you will keep your hair protected from harsh weather, there will also be no washing for some time; which is a plus and hair will get to retain its natural oils. If you have to use hair dye, buy quality ones from a reputable outlet. This might cost you a pretty penny but it will also help you prevent split ends. Remember to not overuse hair dye as it is linked to ridding hair of its natural oils. Adopt the use of essential oils such as coconut oil, jojoba oil, and olive oil, among others. They also smell really nice too. Oil your hair regularly but don’t overdo it. 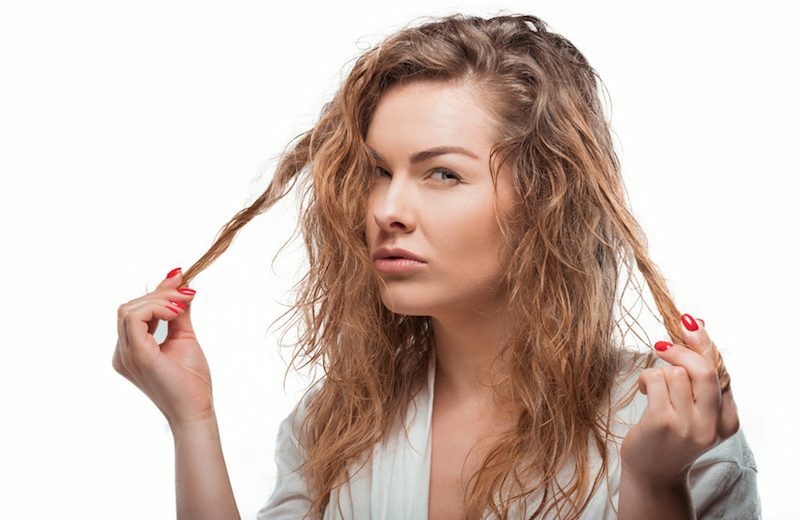 Once every two weeks is best for braided hair. When your hair is let loose, oiling after washing works quite well. The trick to get the most out of oiling your scalp is to do it at night then sleep with a scarf on to let your hair absorb the oil through the night. Use hair masks every once in a while. These help restore lost hair nutrients and add more that your hair needs to grow in length and for protection from damage. When dealing with medical conditions that are ruining hair, there might only be so much that you can do. You can however cut your hair and keep it short which will help you deal with the split ends permanently without putting in too much effort until the health challenge passes then regrow it back. There are other things you can do for healthy hair. Drink water regularly. Water is good for overall body health including your hair. Supplements and foods with omega-3, biotin, vitamin E, and folic acid in them have been linked to healthy hair. Try and incorporate these in your diet. Eating a balanced diet will help a lot. Wash your hair with room temperature water. Water that is too hot will rid your hair of its natural oils and we don’t want that because dry hair will automatically start splitting from the ends. Buy quality combs, brushes, hair clips, and dryers. Imagine a chipped plastic comb going through your wet, or extremely dry hair. Poor quality hair tools might damage your hair. Limit the number of times you touch your hair. Protect your hair when exercising, cleaning, or engaging in a vigorous activity that causes a lot of moving and probably sweating. Tying it up in a bun, braiding it in length, or tying it up in a high ponytail will work fine. Ensure your hair ends are not in contact with your skin or any surfaces during activities.